Immunotherapy can relieve symptoms of allergy, reduce medication requirement, prevent new allergies from developing and prevent the progression from rhinitis to asthma. The first priority is to find out exactly what you are allergic to. Allergies are diagnosed by clinical history and confirmed by skin prick or blood tests. Skin prick tests are very reliable and are the preferred diagnostic test in the Allergy Clinic. They allow us to test for several different allergens at the same time and they give results within 20 minutes. Once you know what you are allergic to you can consider your treatment options. Learn more about Diagnosis here. Avoidance of allergen is the most obvious way of dealing with allergy. This is the only option for individuals with severe allergic reactions to food or drugs. But avoidance of airborne allergen, such as grass pollen or house dust mite, is not a practical solution for most patients. That leaves us with two options. We can use medication to suppress the symptoms of allergy or we can train the immune system to not react in the first place. Medical treatment is effective for most patients with allergy. This option is relatively convenient, cheap and safe. It also gives fairly rapid relief of symptoms. However, some patients experience unwanted adverse effects or insufficient treatment effects from medicines; and some patients dislike the idea of having to take medication all the time. your risk of progressing from simple allergy (e.g., rhinitis) into more complex allergy (e.g., asthma) is reduced. Different forms of immunotherapy are available, but they are all long term treatments which are administered over the course of several years. Benefit may not appear until the end of the first year of treatment but may persist for many years beyond the course of treatment. Subcultaneous Immunotherapy is the most widely practiced form of allergen immunotherapy in the world: ‘allergy shots’ have been around for over 100 years. This treatment can be personalised to include the specific allergens that each patient is sensitised to, and there is a broad range of allergen extracts to choose from. The schedule is: twice a month for 3 months, then once a month for 3 years. These are usually very well tolerated. There is a risk of reacting to the shot itself, and this is minimised by slowly increasing the dose given over the first 6 shots. Some patients develop small bumps under the skin which may require a change of treatment. Allergoid immunotherapy is a relatively new development using modified allergen. There is less chance of reacting to the shot, so full doses can be given on day 1 (in two divided doses), and every month thereafter for 4 years. Only a few allergens are available in this format. Sublingual immunotherapy involves placing a few drops (or a tablet) of allergen under the tongue every single day for 3-4 years. This has the advantage of being able to administer the treatment at home and requires only 4 visits to the Allergy Clinic each year. The disadvantages are i) it is more expensive than the injectable form; ii) you must remember to take it each day; and iii) some patients complain of itching or swelling in the mouth, or cough. Enzyme Potentiated Desensitisation (EPD) is a ‘novel’ therapy. In medical terms this means ‘unproven’ rather than ‘new’. Published studies have been few and effectiveness has not been established. 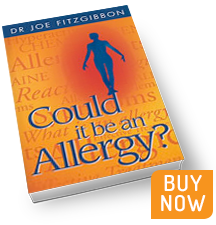 It is far more convenient than other injected forms of treatment, requiring only 4 visits to the Allergy Clinic in the first year, 3 the second year (all going well), and 2 visits per year thereafter for as long as deemed necessary. All patients are kindly requested to relax in the clinic for 30 minutes after each allergen immunotherapy injection. Rhinolight Phototherapy involves shining ultraviolet light into each nostril for 2-3 minutes at a time. It can be very effective in treating both intermittent and persistent rhinitis. It is painless. There can be some crusting inside the nose during treatment but this is usually mild. Intermittent rhinitis (Hay fever): the best time to start treatment is at the very beginning of your hay fever season, as soon as you feel the symptoms start. You will need 6 Rhinolight treatments over two weeks. This will eradicate hay fever symptoms in two thirds of patients for the rest of the season. Most of the remaining third will also report a reduction in symptoms but may still need to use some medication as well. Patients who enjoy a good response may find that they no longer suffer from hay fever after 3-4 seasons of using Rhinolight (in other words, there is a long lasting benefit). Persistent (chronic) rhinitis: this form of rhinitis may require up to 8 sessions of Rhinolight, delivered over 4-6 weeks. Rhinolight is safe to use in pregnancy and whilst breast feeding. Learn more about Rhinolight here.